Plenty of storage space. Brushed Steel leg accents. Includes choice of natural stone counter and backsplash. Includes choice of porcelain or optional granite vessel sinks. Includes matching mirror. Metal hardware with brushed chrome finish. Faucets not included.2 doors, 2 drawers. 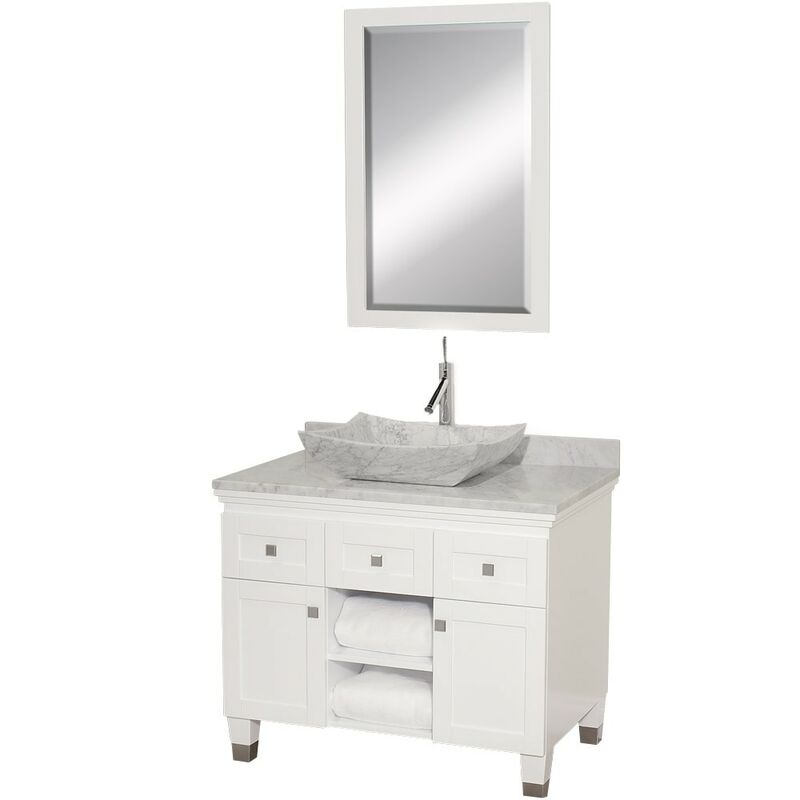 Dimensions - Vanity: 36" x 22.5" x 36"; Mirror: 24.25" x 1" x 36.25"